October is Archives Month and in Kentucky the theme was Civil Rights. 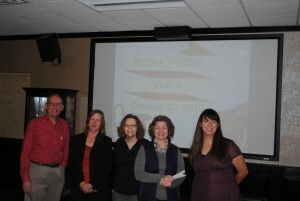 This year members of Library Special Collections celebrated by co-hosting a Pecha Kucha about Civil Rights with the Kentucky Museum. 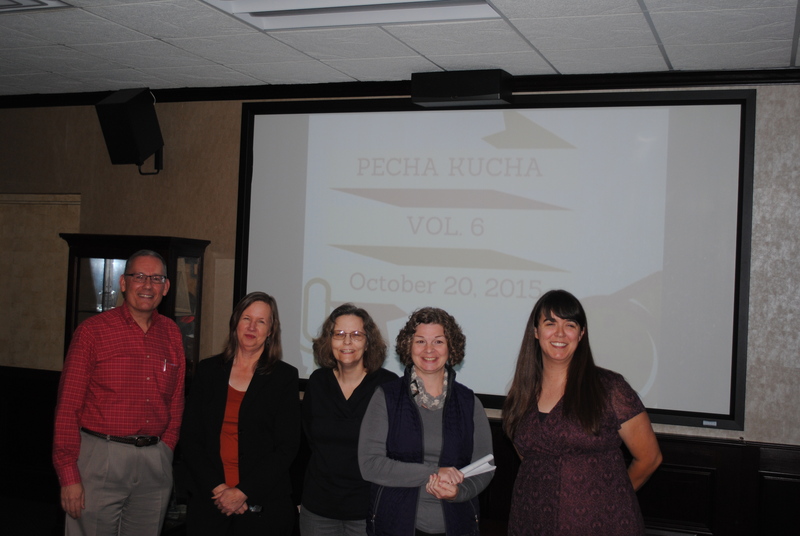 A pecha kucha is a powerpoint presentation consisting of 20 slides shown for 20 seconds each so the talk lasts six minutes and forty seconds. Speakers have to hone in on the point and talk fast! Suellyn Lathrop – Civil Rights @ WKU – gave an overview of the WKU response to several civil rights issues through the years and resources for research housed in WKU Archives. 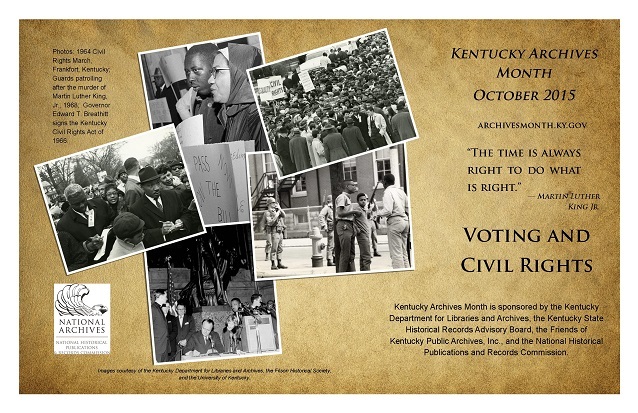 April McCauley – October is American Archives Month – discussion of archives that hold civil rights materials around the nation. Karen Hogg – Kentucky Marriage Equality Oral History Project – presentation regarding Kentucky attorneys and plaintiffs involved in the recent marriage equality court cases. Nancy Richey – Introducing the Kentucky African American Encyclopedia – an interesting overview of local people included in this hot off the press volume. Jonathan Jeffrey – Juliette H. Morgan: A Librarian Civil Rights Hero – a brief biography of Montgomery, Alabama librarian turned activist. We hope you enjoy our presentations and learn something new. Library Special Collections is housed in the Kentucky Building and our collections are open to everyone Monday – Friday 9 to 4 and most Saturdays 10 – 3.